What Are Financial Modeling Tools? Financial modeling tools are Excel templates and pre-built models that can be used as a starting point for performing analysisAnalysis of Financial StatementsHow to perform Analysis of Financial Statements. This guide will teach you to perform financial statement analysis of the income statement, balance sheet, and cash flow statement including margins, ratios, growth, liquiditiy, leverage, rates of return and profitability. See examples and step-by-step instruction. Beyond templates, other tools include software and programming languages (such as VBAExcel VBAVBA stands for Visual Basic for Applications. Excel VBA is Microsoft’s programming language for Excel and all the other Microsoft Office programs, like Word and PowerPoint. The Office suite programs all share a common programming language.) that can be used to increase automation and ensure the quality and standards of models are held to the highest level. The most common tool is simply Microsoft Excel. 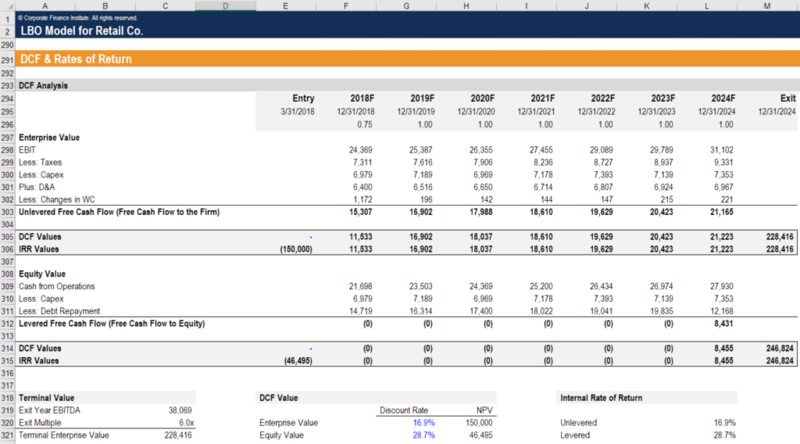 The number one financial modelingWhat is Financial ModelingFinancial modeling is performed in Excel to forecast a company's financial performance. Overview of what is financial modeling, how & why to build a model. A 3 statement model links income statement, balance sheet, and cash flow statement. More advanced types of financial models are built for valuation, plannnig, and tool is still Excel. The reason Excel is still so common is for several reasons: (1) its completely flexible and dynamic, (2) it’s the incumbent software and everybody uses it, (3) its extremely affordable, (4) it can be used at a basic levelBasic Statistics Concepts for FinanceA solid understanding of statistics is crucially important in helping us better understand finance. Moreover, statistics concepts can help investors monitor with almost no training, (5) its totally transparent and easy to audit, (6) its easy to edit, and (7) it integrates with other types of accountingAccountingPublic accounting firms consist of accountants whose job is serving business, individuals, governments & nonprofit by preparing financial statements, taxes and finance work, which is mostly all done in Excel. Other tools include software programs such as SAP that are used by large global corporations who can afford them. The software packages usually require expensive installations and are much less common than Excel. As simple as it is, Excel is by far the most common platform for building models.